Save 59% on the Honey-Can-Do Kids Toy Organizer and Storage Bins, Free Shipping! 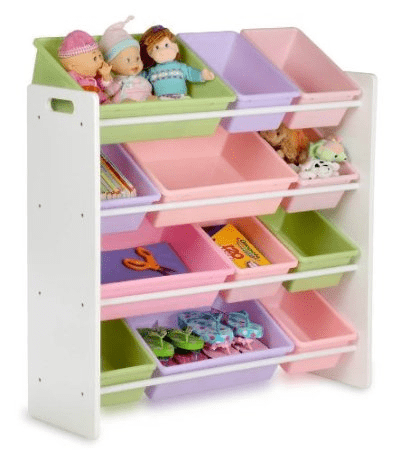 The Honey-Can-Do Kids Toy Organizer and Storage Bins in White/Pastel is on sale for $49.52 at Amazon right now. That's 59% off the list price of $120.00! This item has a rating of 4.5 stars out of 5 possible stars based on 118 customer reviews. Also on sale right now is the Honey-Can-Do Kids Toy Organizer and Storage Bins in Natural/Primary for $68.97. That's 43% off the list price of $120.00!